Soil sampling practices have always been the key to proper soil nutrition. With higher yields consuming nutrients, along with volatile fertilizer cost, having a structured plan for sampling is essential. 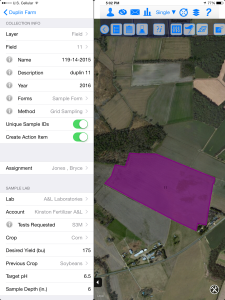 Efficiently maintain your input cost by taking advantage of variable rate prescriptions, soil analytics through modern technology, and custom applications. 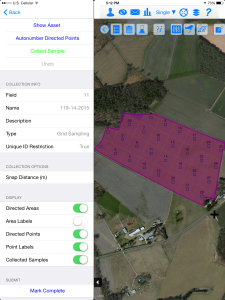 Soil samples can be collected in grids, zones, or even at random with the desired soil test of your farm’s specific needs. The goal is to help you improve your crop quality and maximize your farm’s yields through proper soil fertility management. Let your Harvey’s retailer help create an economical fertilizer plan that fits your needs. 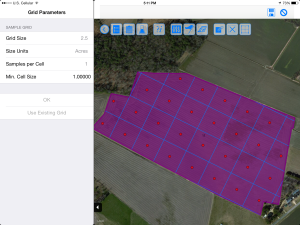 With variable rate application systems and agronomic technology, custom application on your farm will be proficient and precise to maximize your potential for record yield.